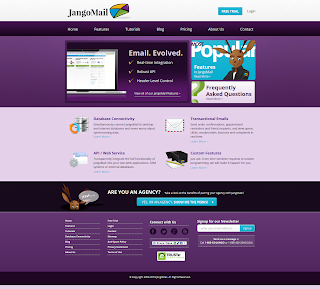 DAYTON, Ohio-- JangoMail (www.jangomail.com), a trendsetting leader in permission-based email marketing, launched its all-new website this month. The new site features customized navigation and highlights features based upon their clients’ unique Marketing or Development needs, and is already seeing positive results. The website’s client list seems to be equally enthusiastic about the new look and function. The average number of page visits per user on JangoMail.com has increased 59% since re-launch. 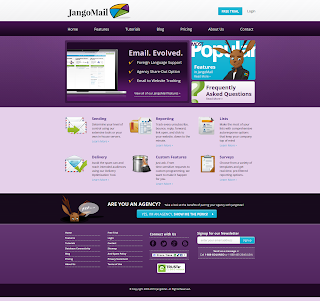 JangoMail.com’s bounce rate is half of what it was prior to re-launch, and the average time on site has doubled. 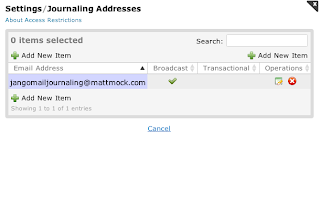 The site’s new look and function focuses to create a clearer path to the large variety of features offered at JangoMail. Based upon a user’s role as either a Marketer or Developer, they can much more easily navigate the website to locate specific tools and features relevant to exactly how they need to utilize JangoMail as their email marketing service. The interface is more efficient, customized and presents a dedicated service to each of these unique groups of clientele. Our new JangoMail website is truly all about YOU. Since we started out, it’s been our only mission to do what we do best – by listening to you, our customers. We’ve always asked for input, feedback, and for you to be brutally honest about what we can do better. And when you responded, our design team went straight to work. The result is a JangoMail.com that’s easier to read and navigate … featuring more comprehensive data about our growing list of intuitive features. The snappy, new color scheme is pretty neat, too. 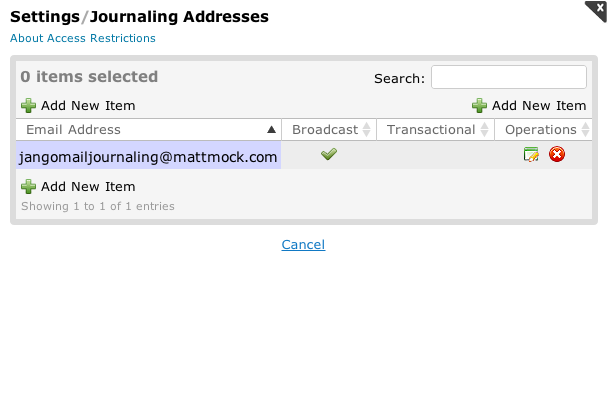 JangoMail now features your very own customized, segmented content area, too. Whether you’re a Marketing or Brand pro who wants an off-the-shelf solution, or a Developer or IT guru looking to get your hands on some raw code. You’ll find everything you need to know to make the most of your email marketing. Who is Jack the Jangolope? Like the now confirmed existence of our new mascot, JangoMail has proven that myth can really become reality when it comes to the once unattainable tools for highly successful email marketing. In other words, if our customers can dream it – our team will do its very best to create a tool, technology or feature they need to succeed. 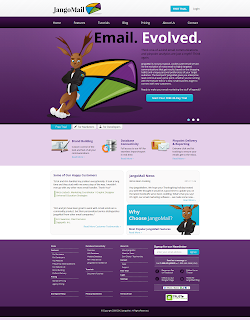 Like our new homepage asks: Are you ready to make your email marketing the stuff of legends? Take a look around. Let us now what you think. Contact us if you have any questions. We may be taking a few minutes to catch our breath after working on our new website. But, you’d better believe we’ll still be on the lookout for your continued feedback to keep making JangoMail the best if can be for you. 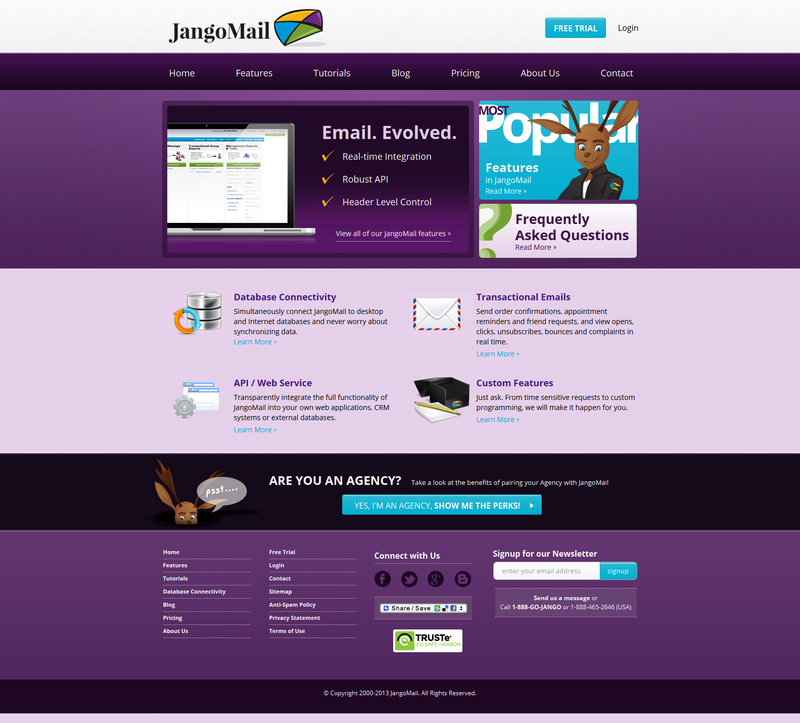 Special thanks to our JangoMail development team for making our new website a reality!